Maker of tactical personal protection offers on-the-go security with NIJ Level IIIA-compliant bulletproof insert. SOUTH BEND, IN (Aug. 27, 2018) – SentryShield®, maker of personal tactical protection, today introduces its signature bulletproof backpack insert. 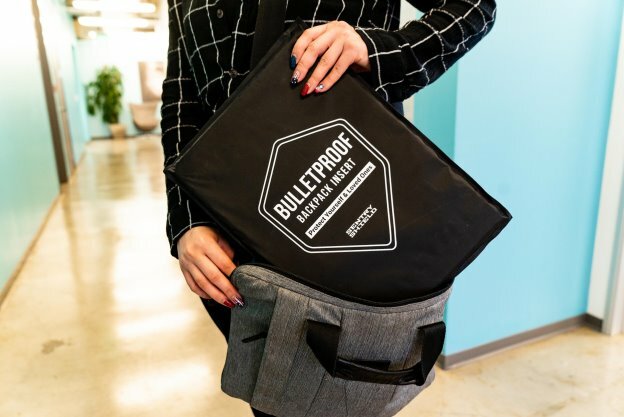 Available in two sizes (backpack and handbag), the SentryShield insert is engineered with 24 layers of ultra-high molecular-weight polyethylene (UHMWPE) to be NIJ Level IIIA compliant and is capable of stopping a variety of ammunition. Designed to be travel friendly, the SentryShield is easily concealed and carried in backpacks, laptop bags and other personal belongings. Despite being eight times stronger than steel, SentryShield contains no metal and won’t set off metal detectors in schools, airports or other secure locations. The backpack (16.25 by 11.75 inches) and handbag (14 by 10 inches) versions are both only 10 millimeters thick, and weigh only 1.46 and 1.74 pounds respectively, making them a practically unnoticeable addition to any bag for students and travelers. But despite their light weight and slim design, these NIJ Level III-A anti-ballistic inserts are capable of stopping a variety of rounds including 9-millimeter FMJ rounds, .44 Magnum bullets, .357 SIG ammunition and 12-gauge slugs thanks to the cross-layered UHMWPE and high-density foam trauma pad. 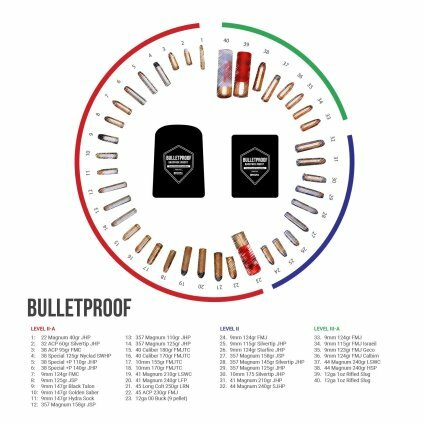 “Nothing can offer a guarantee in a tragic situation like one involving an active shooter, but even something as small as SentryShield has the potential to make a very big difference,” says Wakefield. The SentryShield retails for $120 and is available now at SentryShieldUSA.com for an introductory price of $89.99. A second SentryShield is available for 50 percent off when purchasing one at full price and entering code Protect50 at checkout for a limited time. This entry was posted on Friday, August 31st, 2018 at 00:59	and is filed under Armor, Press Release. You can follow any responses to this entry through the RSS 2.0 feed. Both comments and pings are currently closed.